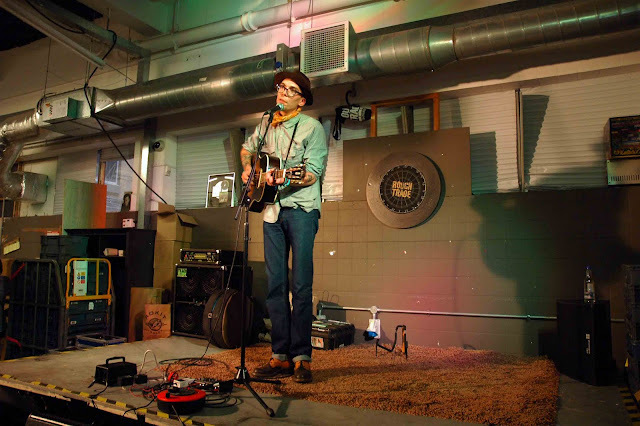 Son of alt-country star Steve Earle and named after the 'musician's musician' Townes Van Zandt, you'd be forgiven for thinking Justin Townes Earle had every reason to not be there on merit. You're be so wrong. Not only does this guy play the meanest guitar I've heard in a while, his voice is just made for singing. Wow. I loved this performance, one of the best I've seen at Rough Trade East. What I heard tonight was raw JTE, no accompanying band, nothing but his acoustic guitar and wonderful distinctive voice. 'Mama's Eyes' and 'One More Night In Brooklyn' were highlights, actually it was all one big highlight. Amazing.